If you appreciated the fun findings at the Old Red Lumberyard Junk Market, then you will most definitely want to turn your attention right across the street. 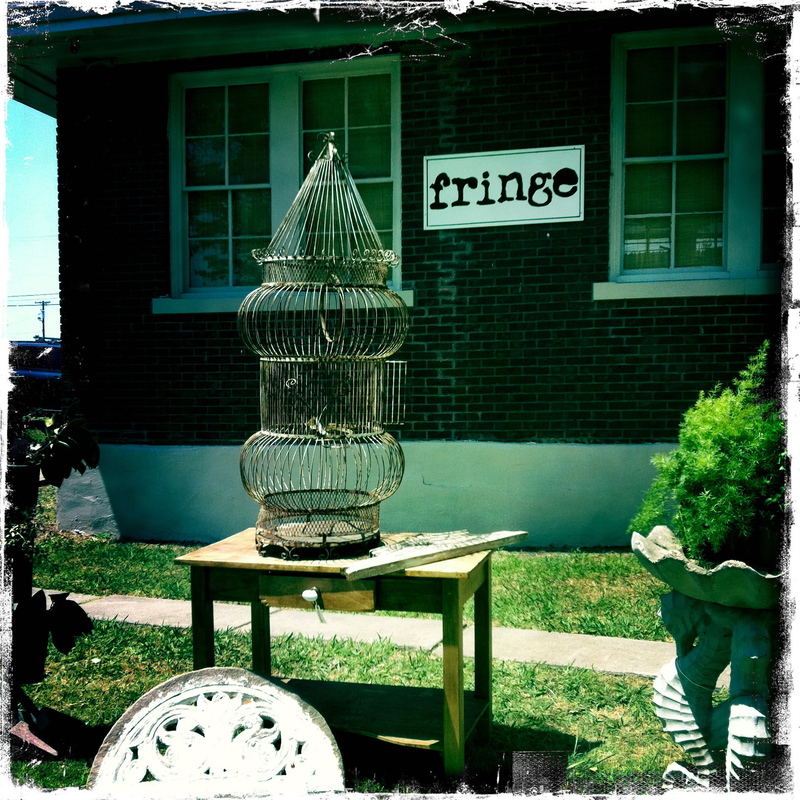 A cluttered front yard and a freestanding red brick house will warmly welcome you to Fringe – another McKinney marvel that opens just two days out of the month but withholds more unique and affordable furnishings to tickle your fancy! Of course, we were drawn to this curious front lawn, fully equipped with vintage vanities dressed with aged trinkets and this massive antique bird cage that I’ve seen on the front page of countless catalogues (Pottery Barn’s Spring book, no doubt). I would have jumped sky high at the opportunity to purchase this sizable rarity about a year ago for my wedding (we had the whole lovebird theme going on), and at only $199, I remained tempted to buy and keep it for the day when I have a massive backyard that needs a darling garden accent. 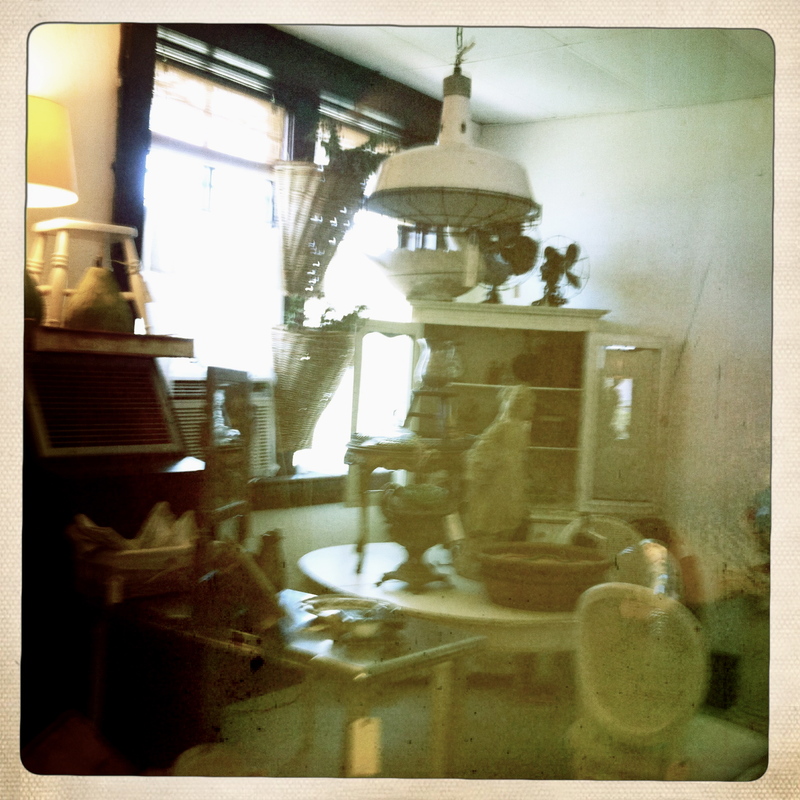 I’m serious – this cage (in excellent condition, by the way) is a decorator’s dream and a necessity to any florist’s shoppe. 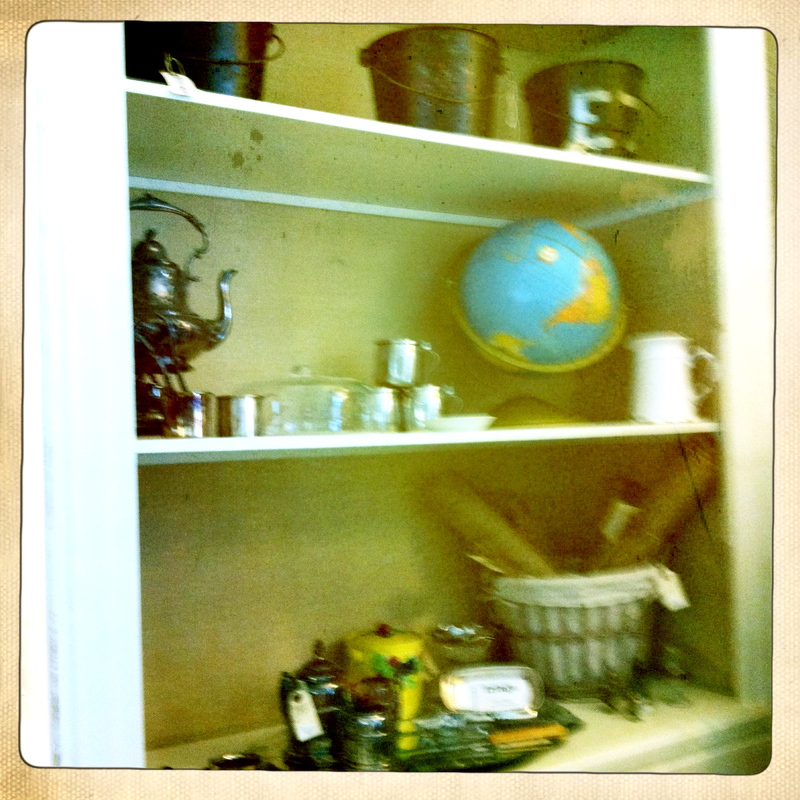 Venturing in, the red brick walls conceal an even greater collection of sweet treats and antique furnishings. The house is dressed from head to toe with refurbished night-stands and coffee tables, ornate frames, and eye-catching shelves, filled to the brim with assorted metals and colorful keepsakes – like this one! I absolutely love the symmetry of the three lettered pails on the top countered with the chaos of the bottom two shelves – who would’ve thought a bright blue globe and a shiny silver kettle would look so attractive together?! Each snug room seems to have its own striking thematic elements (think large wooden salvage, gray hues, artistic prints), and features a variety of vendors’ handpicked merchandise. My mom was immediately excited by this white hanging industrial lamp, hoping to hang it above her kitchen island, but of course, it had already sold. Fringe is constantly evolving, inviting new merchandise and vendors every month, so it would absolutely be in your best interest to jump on board with this mini-market come July 15-16, when they reopen! Fringe might only be open on one weekend per month (typically a Friday & Saturday from 9AM-6PM), but their Facebook page is constantly up and running for your viewing pleasure. Their always posting photos of available merchandise, so you can preview what your abode might need and make the trip worth your while! Fringe looks and sounds like a major find! I have got to check this place out and yes love that bird cage!